Apologies for the barrage of gig reviews recently, it’s just that October seems to be my designated gig month of 2011 and I haven’t really been doing much else. 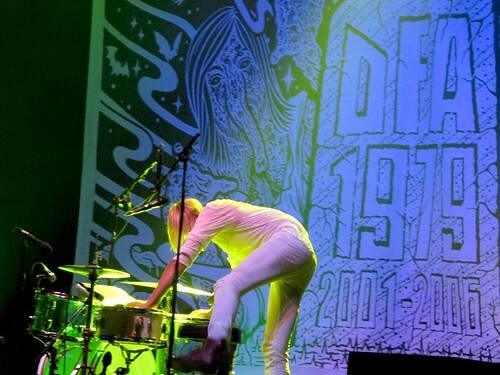 Last Friday I went to see Death From above 1979 at Brixton Academy. Before my thoughts on the band, I have to ask does anyone know what the f*ck is going on with the stage? They’ve put in a platform in the front half that levels off the ground and brings it flush with the original stage, and then they have built a smaller stage on top of it with scaffolding. It looks rubbish and also means that you don’t have the view advantage that came with the sloped floor, so I really hope it’s not permanent. Anyway; the bands. I got there too late for the first support act, Me, but I had the unfortunate luck to witness The Computers. The music was pretty good, the band had a thing going on with their matching white outfits, but the lead singer totally ruined it by screaming all the vocals and making seriously cheesy remarks in between songs. Usually I don’t mind a bit of screaming here and there, but the music really didn’t suit it so it just ended up sounding odd. Consider me not impressed. 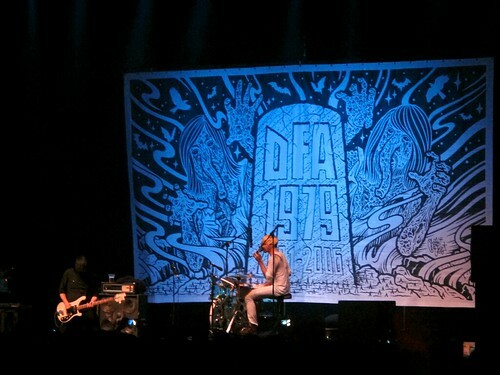 Death From Above 1979 were great though, and they played through a swift set as their now-familiar reunion banner hung behind them. The crowd started off a bit apprehensive but soon warmed up, and everyone around me was happily dancing, moshing and flailing through their favourite tracks. The highlight for me was Romantic Rights where Sebastien took a little wander around the stage and down to the fans, before leaping back onto his drumkit for the manic ending to the song. I don’t think anyone could complain about the setlist, with the majority of ‘You’re A Woman, I’m A Machine’, ‘Heads Up’ and various b-sides getting an airing. The only issue I had was that the sound wasn’t amazing, but then none of the gigs I’ve seen DFA1979 do this year have had great sound so it may just be an issue with the way they play. 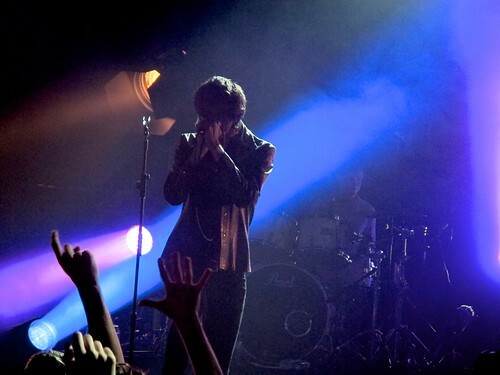 My latest gig was The Horrors at the Roundhouse last night. I was seriously excited for this as I have been playing their newest album ‘Skying’ non-stop since it came out, and I’ve been really impressed with all the performances I have seen this year. I took my mum along as well as she’s been loving their last two albums. 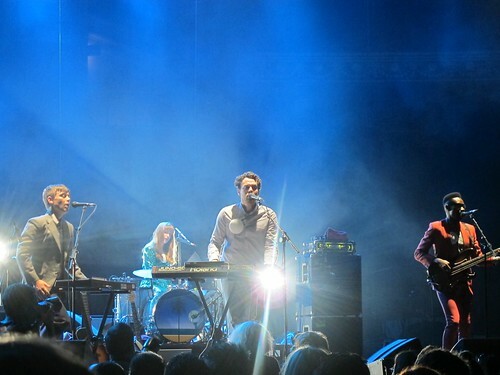 The support act Toy were good enough to warm the crowd up, but not particularly memorable. We got some drinks and moved into the centre of the crowd to get the best view, with myself assuring my mum that The Horrors’ crowd weren’t a jumpy lot. How wrong I was! 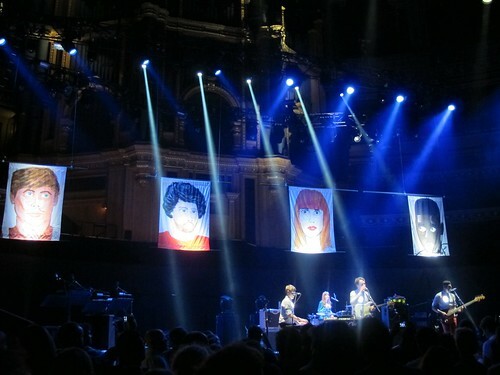 It was just a fantastic, mesmerising gig. The setlist wasn’t particularly long, but we got an addition to the encore in the form of ‘Monica Gems’ and some of the more lengthy tracks helped to pad the set out to around 80 minutes. The band looked to be enjoying themselves as much as the bouncing audience, with hair flying as they whirled their guitars around in the strobing lights. Even Faris managed a few words in between songs and didn’t look quite as menacing as usual. As they ended the set with a hypnotic rendition of ‘Moving Further Away’, it was clear that they have moved very far away from their original kitschy goth personas of the first album, and instead focussed on creating lush, rolling soundscapes. Perfect gig, perfect album, I am happy. In other news this week: I have hit my 52 book challenge for the year (I upped it from 40 when I completed that a couple of months ago) so my book plan now is to finish off my remaining unread books, and then re-read the Harry Potter series. I’m trying not to buy any more in the meantime, but I caved today at the Southbank book market with a cheap copy of Iain Banks’ The Crow Road, plus the new Discworld comes out today so that is an essential purchase. It’s much better than before though, when I had 25 books that I hadn’t yet read! completed her goal of reading 52 books in 2011! 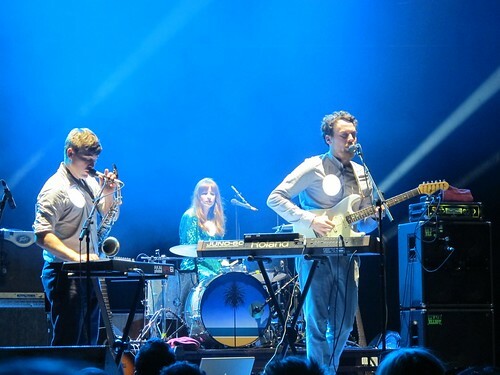 You know how I mentioned earlier that Metronomy keep getting better every time I see them? Well that’s still true. Seriously, I’ve seen them about 5 times this year and at the end of every gig I think, well that was amazing, it really can’t get better. And then it does! I’ve been a fan of them since I saw them supporting CSS in 2007, so it’s been nice to see them grow from a band that used poundland push lights on their chests into a band that now have a large fanbase and got nominated for a Mercury Music Prize. It was this nomination that meant they could play the vast Royal Albert Hall and comfortably sell it out. It was a bit of an odd gig at first as everyone was sat down, and no-one wanted to be the first person to stand up and start dancing. Sadly they played ‘Love Underlines’ right at the beginning so I had to just chair bounce to that one instead of my usual mad dancing, but as soon as they reached ‘She Wants’ it was enough to get everyone on their feet. 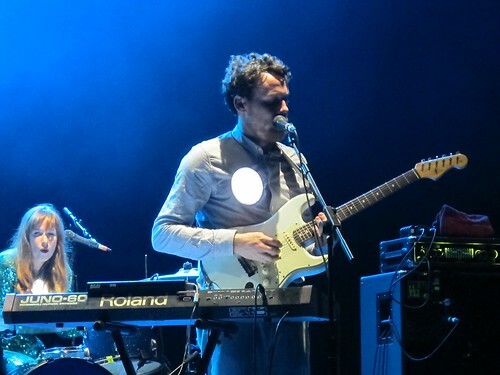 They had so many fantastic little moments, like Oscar Cash being pushed on in a synth on wheels, and a previous band member appearing on the stairs to perform a solo. Together with their flawless funky pop it was enough to put smiles on everyone’s faces and raise the roof with the audience’s applause. It’s one of those gigs that people will be talking about for a long time, and if you weren’t there you have missed out. Unfortunately I cannot find the setlist anywhere for the life of me and I can only remember patches. If anyone finds it, please let me know! There are lots more gigs coming up in October, including Death From Above 1979, The Horrors, IAMX, Bombay Bicycle Club and Miles Kane so it’s going to be a pretty busy one for me! Long time no see! (write/post/read/etc) I’ve been pretty busy over the past month as my table at the London MCM Expo has been confirmed, so I’ve been making lots of jewellery, sending off new designs and coming up with exciting ideas. I did have a minor setback, where I accidentally ordered a design sheet in pink instead of red, so I now have a load of pink Star Trek engineering insignias. Luckily all the other designs work just as well in pink, so I just need to reorder the insignias in the correct colour. There have been so many public holidays over the last few weeks and I have spent them lazing about in the sunshine in parks, having BBQs and going to house parties. I will do a big photopost soon to recount my adventures. There have also been lots of gigs which have all been awesome. I went to see Tim Minchin at the Royal Albert Hall on the 28th April, and although I was late arriving I luckily only missed the first two songs. It was the same show as at the O2 Arena last year, but to be honest I had forgotten half the new songs already so it was still just as funny and captivating. The show was being filmed for a DVD which was exciting, and I had seats that were really close to the stage, so maybe I will be able to spot myself! The next gig was one I had been looking forward to for most of the year; Death From Above 1979 at the Forum. Due to some last minute spare tickets I ended up going with some friends, which really made the experience even better. We got there early and bagged some nice places on the railings behind the pit so we had an awesome view without getting squashed. The crowd were hands down the most mental I have ever seen at a gig, and the amazing thing was they kept going from the first song to the last. You could literally see the steam rising off the mass of bodies. 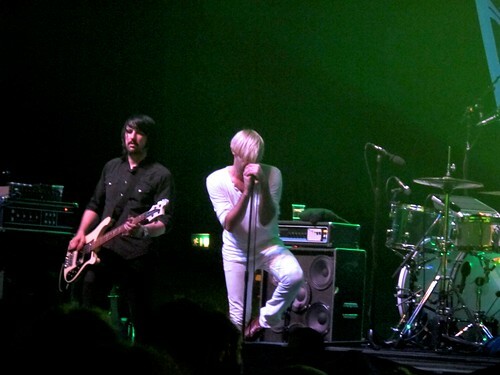 DFA played pretty much their entire discography, bar two or three tracks, and kept the talking to a minimum. It was exactly the comeback it needed to be, just the audience and the band connecting over the tracks that have made them such a cult favourite over the years. 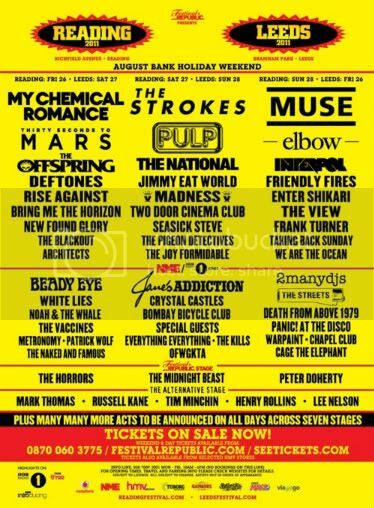 I highly anticipate their set at Reading Festival, along with their inevitable future tours and hopefully a new album too. Coincidentally, while I was at the DFA1979 gig I managed to blag tickets for an intimate Friendly Fires show on the Monday. God bless Scarlet Mist! 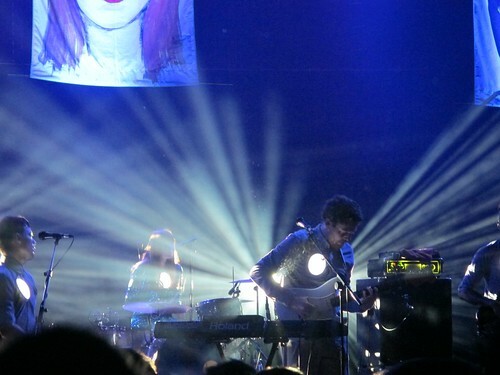 It was at Heaven and was a small warm-up gig to preview their new album, Pala. I was confident it would be amazing as their self-titled debut was one of my favourite albums of 2009 and they had always been great when I had seen them at festivals. Luckily it lived up to my expectations and we danced away an hour in the sweaty arches of the venue with no cares in the world. The new tracks sounded great and they had a ridiculous light show full of lasers, spinning colours and confetti to accentuate the carnival atmosphere. They ended on Kiss Of Life which elicited a loud cheer from the crowd and we all shook our hips along with Ed before it was time to leave.